Global organizations are more sophisticated than ever in working together to address complex problems. Why are so many funders still using the outdated “capacity building” model? Capacity-building was born from a good intention: to develop and strengthen the ability of organizations and communities to do or expand their work. Funders invested in, for example, the transfer of technical assistance to groups perceived to be lacking expertise or capacity in a given area. Ultimately, the aim was to strengthen the ability of the recipient groups to work independently and sustainably. But having worked for nearly two decades with donors and global institutions, I can say that there are different models of capacity building, and some of the frameworks are outdated. Such capacity building models create power dynamics that often set non-governmental organizations up to fail. In some cases, they don’t build capacity in a meaningful way at all, but instead prolong dependence. Instead of supporting self-owned, community-led strategies for change, the result reinforces existing power dynamics. I believe that we need to actively dismantle these frameworks, drop the “capacity building” language, and create a new, more powerful partnership model predicated on equality and reciprocity. False Assumptions. Capacity building implicitly—and sometimes explicitly—assumes that actors from high-income countries with technical degrees are smarter, more reliable, and deliver better and more timely results than partners in the field. It is a centralized model that assumes the parties further down the chain of command have more need and less to give. In my own work in global health, I have regularly found the opposite to be the case—namely, that country-implementing partners are often highly strategic and tactical. They possess deep and nuanced content insights, as well as the on-the-ground perspectives necessary to design and drive successful interventions. Knowledge Flow. Capacity building is too often based on a one-way transfer of knowledge. It does not acknowledge the realities of true partnership, which require that to design, pilot, iterate on and scale a program, every party involved has a meaningful contribution to make. Worse, this one-way flow doesn’t invest in reciprocal learning, which means that the “recipient” of capacity building is never valued for their actual role as a pioneer, thought leader, program designer, technical expert, and more. It paints a picture of a more passive “recipient” who is a mere implementer—which doesn’t account for the expertise they possess and the insights they have to share, which translates into how they are valued by both the funder, the global community, and other actors, including policymakers, in the local setting. It’s 2019. Surely, we can see clearly enough to understand that this is problematic. 1. Equal Partnership. Donors should consider abolishing the capacity building framework altogether and replace it with Strategic Impact Partnerships (SIPs). In a SIP model, all organizations are seen as equal contributors with experience and expertise, working together to achieve a common goal and creating even greater lasting impact. This model—rather than a relationship based on technical assistance—will disrupt the power dynamics inherent in the “capacity building” model. This arrangement would explicitly value each partner’s contributions as equal—regardless of size, revenue, pedigree or geography—and solidify transfer of knowledge, expertise, and insight in multiple directions. In this new SIP model, donors should acknowledge and set parameters from the beginning to ensure that knowledge and insights are transferred both ways and are defined as mutually reciprocal. One way to start is to examine the language used in grantmaking frameworks and evolve it to level the playing field. Donors are fundamental in catalyzing and reinforcing the power dynamics between grantees and have an opportunity to create healthy or unhealthy relationships that can have a powerful and lasting contribution to the field. 2. Value Local Leadership. In our own experience, we have seen more and more of our partners worldwide—patient advocacy groups in low- and middle-income countries—embark on a journey to file highly technical legal cases. These country-level actors are the front lines for challenging drug companies, as they have the nuanced expertise of their countries’ legal systems, in-house legal capacity to lead the work, and greater ability to monitor cases and navigate evolving political issues. They also have the community relationships to build the momentum that is necessary to not only support the legal cases with advocacy strategies but also to ensure legal cases help shape laws and systems for long-term change. We believe this local leadership will ultimately shape governmental responses to public needs and drive truly sustainable change. 3. Focus on the Long Game. Too often, grantmaking is predicated on quick wins and results that ignore the reality of the long-term nature of systems change. Donors can serve as important thought partners to see beyond the grant period and create a long-term vision for partnership. 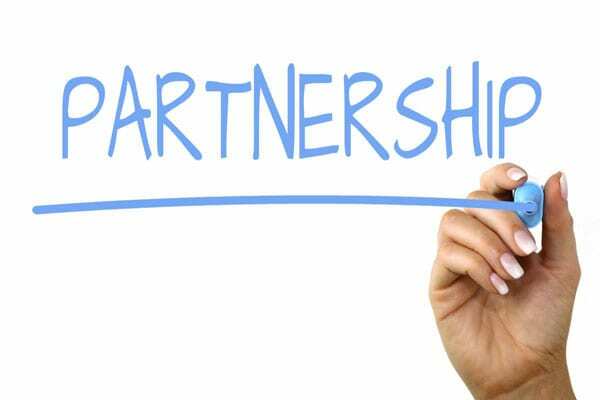 This includes setting out a clear transition plan for the partnership if it is bound by a grant or contract period. Defining this up front allows both partners to understand their respective roles and evolution after the period of mutual knowledge transfer, and lays a foundation for a respectful and healthy, sustainable, long-term partnership. This mitigates the need for partners to “shed” one another after the project is done and can inspire creative new ways to be in relationship that builds on the current knowledge exchange. Donors and global development institutions have the power and the responsibility to discard outdated frameworks that reinforce old and potentially oppressive power dynamics. At the end of the day, if we want to scale movements to fundamentally disrupt and transform systems, we want those movements to be healthy and impactful—and equality is a necessary first step towards that shared vision. Priti Krishtel is the Co-Founder and Co-Executive Director of I-MAK.org, a global nonprofit organization comprising senior attorneys, scientists and health experts who have worked to lower drug prices for 15 years.